Secretive - even reclusive - Russell Bufalino quietly built his organized crime empire in the decades between Prohibition and the Carter presidency. His reach extended far beyond the coal country of Scranton, Pennsylvania, and quaint Amish farms near Lancaster. Bufalino had a hand in global, national, and local politics of the largest American cities, many of its major industries, and controlled the powerful Teamsters Union. His influence also reached the highest levels of Pennsylvania government and halls of Congress, and his legacy left a culture of corruption that continues to this day. Important But Edited By Lawyers? The definitive portrait of the powerful, corruption-ridden Teamsters union and its legendary president Jimmy Hoffa - organizer, gangster, convict, and conspirator - with a new afterword by the author. Soon to be the major motion picture The Irishman starring Robert De Niro and Al Pacino, directed by Martin Scorsese. 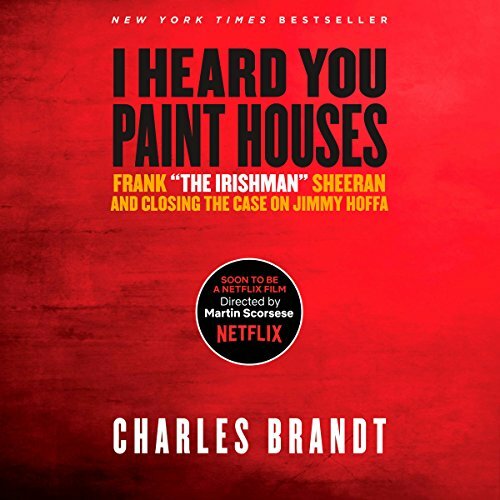 "I heard you paint houses" are the first words Jimmy Hoffa ever spoke to Frank "the Irishman" Sheeran. To paint a house is to kill a man. The paint is the blood that splatters on the walls and floors. In the course of nearly five years of recorded interviews Frank Sheeran confessed to Charles Brandt that he handled more than 25 hits for the mob, and for his friend Hoffa. Sheeran learned to kill in the U.S. Army, where he saw an astonishing 411 days of active combat duty in Italy during World War II. After returning home he became a hustler and hit man, working for legendary crime boss Russell Bufalino. Eventually he would rise to a position of such prominence that in a RICO suit then-U.S. Attorney Rudy Giuliani would name him as one of only two non-Italians on a list of 26 top mob figures. When Bufalino ordered Sheeran to kill Hoffa, he did the deed, knowing that if he had refused he would have been killed himself. Sheeran's important and fascinating story includes new information on other famous murders, and provides rare insight to a chapter in American history. Charles Brandt has written a page-turner that is destined to become a true crime classic. I almost quit this book after the first chapter. It was tedious, trying to figure out who all the various individuals are that are mentioned. I am so glad I continued. Although some middle parts drag on, from Chapter 28 on it is an emotional ride and well worth waiting for. I learned so much about the mafia from this book, their lingo and their strategizing. It is hard to listen to the cold, calcuated way that individuals are disposed of in order to clear the path for another individual's rise to power. 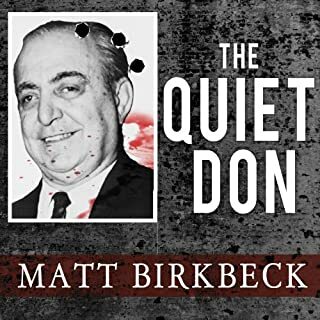 But to hear the life of a mafioso in his own words and the ultimate toll it eventually exacts on his conscience is riveting. Don't give up on this book if you initially get tangled up in all the characters described. It is well worth your time. This is the first review of an audiobook I have ever written, but felt the need to express its worth. I am still haunted by this book. What did you love best about I Heard You Paint Houses? The story will blow your mind..from beginning to end. The intensity of the story. And the validation of what really happened. The solving of 2 murders and who did them. The author validated everything told to him. There should be no more questions as to how Hoffa was killed and disposed of. The beginnings of Sheeran's life are interesting and make you like the guy. I couldn't help but like the guy. OK, I don't know whether Frank Sheeran's versions of the Kennedy assassination and the Hoffa disappearance are factual. But they are both more plausible and more titilating than most of the alternative theories I have heard. And they are told with such conviction, and so much detail, that I have decided to believe them. Now I don't have to sit through Oliver Stone's tedious speculations. Sheeran has told us what happened, and that's "the way it is". Brandt co-writes Sheeran's inside story his life in the Mob, and provides historical backdrop to explain the history of the Mob and Teamsters within the context of national politics inthe mid-20th century. Much more than just a personal journal of a gangster. I found this book to be very interesting. It is my understanding that this in one of the best sellers at our local book store. If you like The Godfather, you'll love this book. I love a mob story, and this is the real thing. 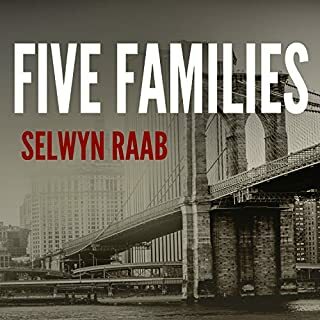 Every bit as suspenseful and well-written as a best-selling novel, this true confession weaves a web of corruption and violence throughout the most powerful union in the country. The ties to top government officials, legislators, FBI, and even the President is so well researched and documented, it will leave you questioning everything you ever believed about our government. The human portrait of this very real hit-man as a husband, father, and friend made me see him as likeable, and in the end, tragic. Scott Brick's narration is perfect for this book. 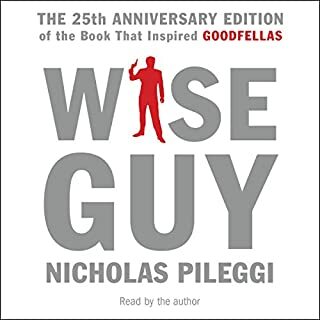 Loved this book, it's a definite one session listen from start to finish . Can't wait to see what Martin Scorsese does with the book. Not just another Hoffa rant. 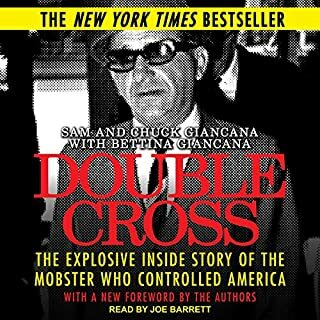 I doubt we'll ever really know what happened to Jimmy Hoffa but this book gives a pretty solid account from some reliable sources. 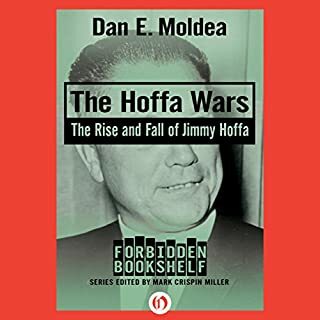 The history behind Hoffa vanishing was interesting. The character development and dynamics/interaction between each kept me listening. great story with a real final ending . 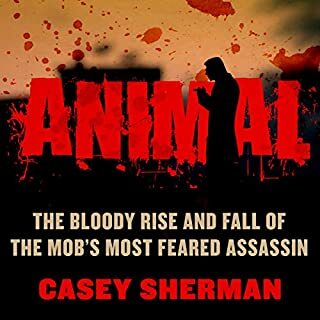 this is one of the better mob related books that i have read\heard . the narrator gave an excellent reading . give a try , you will enjoy it . I knew Hoffa was corrupt but I didn't know it went that far. Amazing story! I loved the book. Can't wait for the movie in 2018. The Irishman with DeNiro! Very detailed and yet still entertaining storytelling. Amazing insight into a strange time and some very strange and mean people. excellently written and researched account of mob/unions/government intanglments.